I’m a sucker for good Chinese food. I love it all – egg rolls, soups, fried, steamed. You name it, I’ll eat it. Since starting to eat primal/low carb, I’ve not been able to get take out from my favorite Chinese hole-in-the-wall, which is a bummer. But, again, cauliflower rice has come to my rescue! 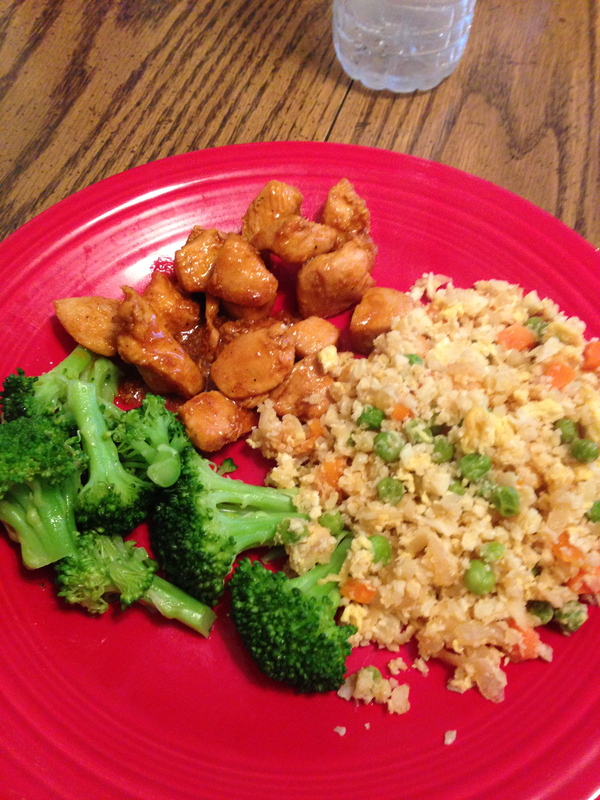 This is a yummy low-carb version of Chinese fried rice AND you will be eating your veggies! In a strainer, rinse and thaw out the peas and carrots. Rice the cauliflower in a food processor. Finely chop the onion and put the onion in a skillet over medium/high heat with the olive oil – saute until the translucent (about 5 minutes). Add peas and carrots and cook until water evaporates, about 5 minutes (sometimes I drain off the water in the middle of the cooking time to help things along). Add 2 scrambled eggs and stir while the eggs cook fully. 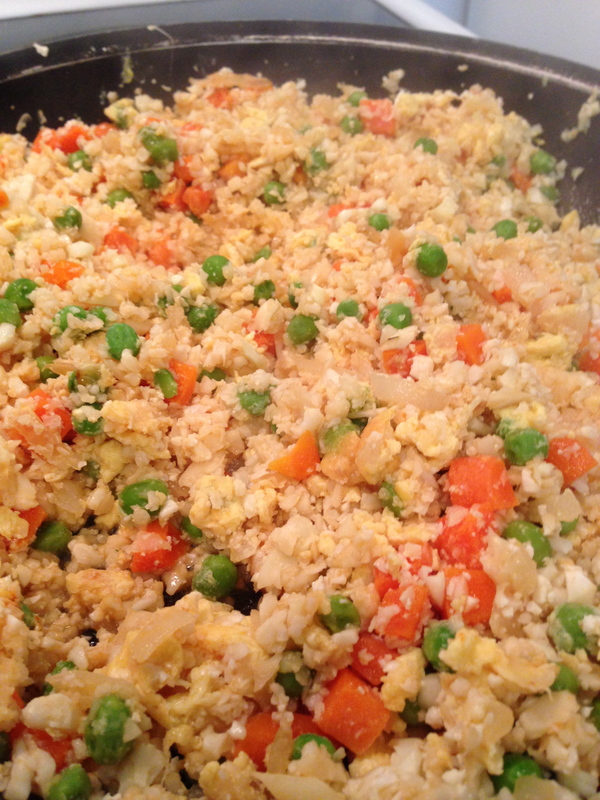 Add the cauliflower rice and several good dashes of soy sauce, sesame oil, rice vinegar, & sriracha sauce. Taste and adjust accordingly. I usually use more soy sauce than anything and go light on the sriracha sauce. Cook, stirring occasionally, for about 10-15 minutes. Serve with your favorite Chinese meat (pictured is my Orange Chicken, which I’ll post the recipe for that later) and enjoy!